In collaboration with Skillshare, I will pick my Top 10 favorite courses on Skillshare that will help kickstart your lettering journey. These tutors are some of my favorite lettering artists in the community. Skillshare is an online learning community where you can learn almost anything from Film Production, Graphic Design, Illustration, Accounting, Business Analytics and even Data Science! You can now sign up for 2 Months FREE Skillshare Premium membership with my link below and enjoy the variety of online courses! Click the button below to sign up and enjoy the membership now. Watch an in-depth process of how illustrator & designer Scott Biersack develops a custom lettered logotype. You’ll be guided through every single step of his process from concept to final vector and beyond. Learn all about the sketching process, utilzing your own hand-writing, do’s and don’ts of lettering, proper anchor point placement, and so much more. 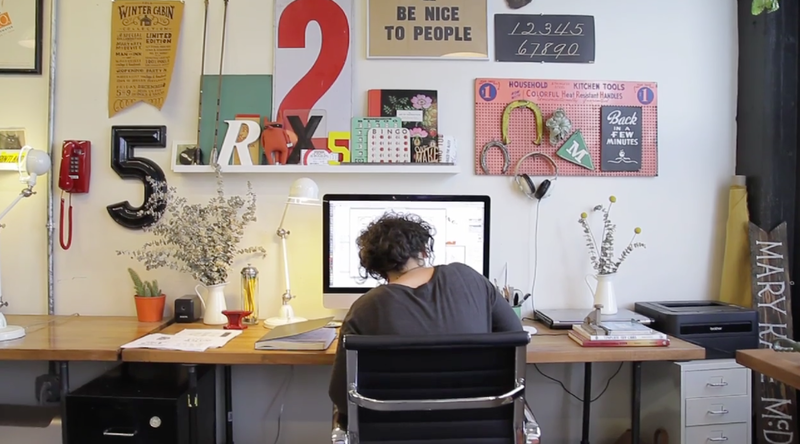 In this 2-hour class, Mary Kate reveals the first steps of hand lettering and shares how to concept, design, and letter phrases for any use—a poster, magazine, t-shirt, or anything else you might imagine. Join design icon Aaron Draplin as he shares tried and true techniques for customizing type – an essential skill for graphic designers of all levels. In this 90-minute class, you'll follow along as Draplin digs for antique typographic references and then creates several type treatments of his own to design merchandise for Portland, his beloved hometown. Love lettering, illustration, and the dramatic romance of flowers? Learn how to bring them all together in this stunning creative class with award-winning artist Gemma O'Brien! 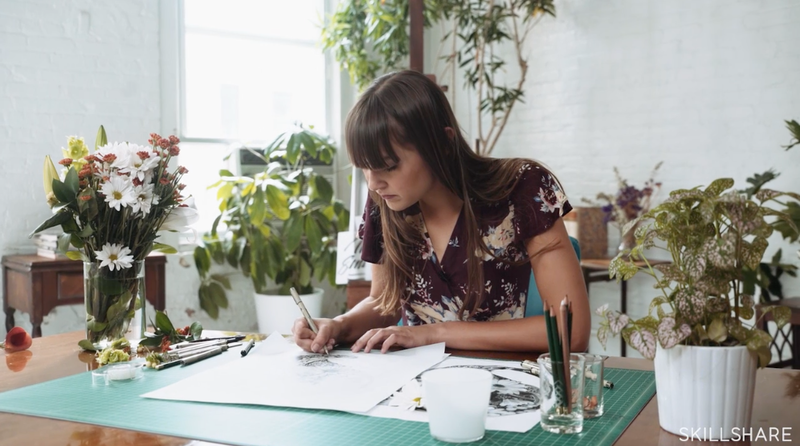 You'll create an intricate, illustrated letterform with Gemma's unique creative method: using real flowers for inspiration, sketching large letterforms, collaging digital imagery, and sketching and inking details for an incredible final effect. For left-handed lettering artist and muralist RYLSEE, the best drawings can often come from everyday life. Ideas that are found right under our noses — heard while walking to work, in your favorite song, or even something that's trending online. In this class we will learn how to take our hand drawn lettering and perfectly refine it in vector with Adobe Illustrator. We will be covering three different vectorization methods. Each method uses a different Illustrator tool as well as a strategic and efficient process for constructing the lettering. Thank you for reading. I hope you enjoy my curated list of Skillshare classes. If you have any recommendations, leave them in the comments below. Don't forget to Sign up!